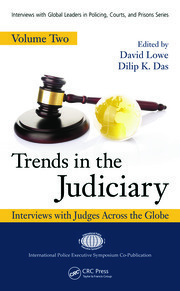 The third volume in the Interviews with Global Leaders in Policing, Courts, and Prisons series, Trends in the Judiciary: Interviews with Judges Across the Globe, Volume Three provides an insider's view of the judicial system. 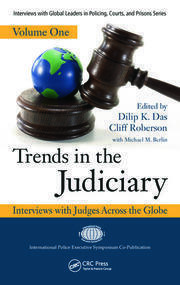 Offering interviews from judges in Africa, Asia, Australasia, Europe, North America, and the West Indies, this text explores the behind-the-scenes motivations of judges on a global scale, delving into the interviewees opinions on diverse legal systems, the interpretation of legal developments, and current issues in criminal law. Readers of this text will be experience the judicial system from within—the plans, protests, and thought processes of practicing judges. Criminal justice students and practitioners alike will benefit from this unique examination of judges around the world. Philip D. McCormack & Francesca Spina. David Lowe is a principal lecturer at Liverpool John Moores University’s Law School. Prior to becoming an academic, he was a police officer for 27 years with the UK’s Merseyside Police. Most of his service was as a detective, serving mainly in the United Kingdom’s Special Branch Counter-Terrorism Unit. His work on policing, terrorism, and security has been published in books and journals, including his books Policing Terrorism and Examining Political Violence: Studies in Terrorism, Counterterrorism and Internal War (2013). 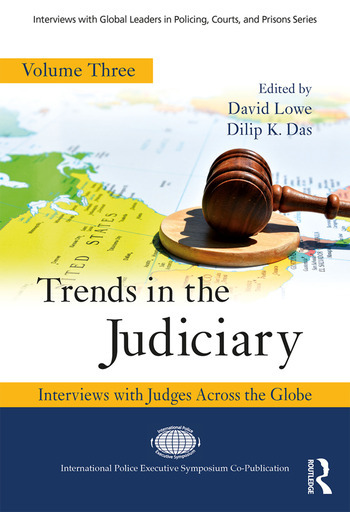 He edited the second volume of Trends in the Judiciary with Dilip Das in 2015. He works in an advisory capacity with Merseyside Police’s Prevent Team (part of their counter-terrorism section) and with SO15, Metropolitan Police’s counter-terrorism unit, for whom he is also an expert witness on tradecraft. Dilip K. Das is a professor of criminal justice, former police chief, and founding editor-in-chief of Police Practice and Research: An International Journal. Das served in the Indian Police Service for 14 years. After moving to the United States, he became the founding president of the International Police Executive Symposium. Das has authored, edited, and coedited more than 30 books and numerous articles and is human rights consultant to the United Nations. He has received several faculty excellence awards and was a Distinguished Faculty Lecturer.